#216) MALIBU LAGOON: Where are the (controversy-averse) large environmental NGO’s and Foundations? I have the somewhat grouchy last words at the end of this article yesterday in the LA Times about tomorrow’s scheduled start of the controversial Malibu Lagoon Restoration Project. I’ve been asking for a year, “Where are the big guns?” This nation has environmental NGOs and foundations with the resources capable of communicating the bejesus out of this very justifiable and needed environmental project. Why aren’t they here helping? 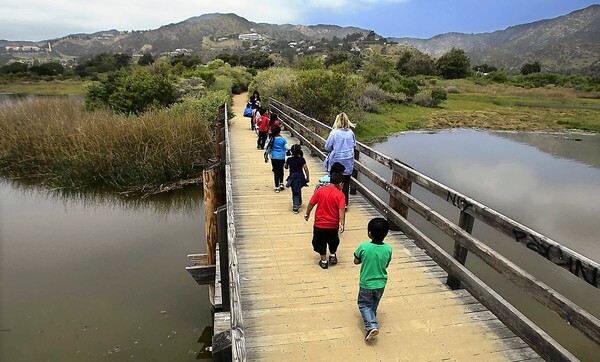 MALIBU LAGOON RESTORATION PROJECT: What does it take for the large NGO’s and foundations to actually engage in powerful communications work as a means of avoiding local environmental conflict? Last April, Sarah Hansen published a powerful and precise indictment of the current American environmental movement with her report for NRCP. That’s the sort of summary statement that supports all the written critiques of “the failed movement” like that of Schellenberger and Nordhaus and plenty of talks such as Peter Karieva’s recent presentation that ruffled normally-comfortable conservation feathers. Where are the big folks? You can see the article ends by pointing to this. There has been no clear concerted professional communications effort to help the local community understand why their lagoon does indeed need to be torn up for six months in order to make it function better. Which is similar to what happened with the issue of Marine Protected Areas on the California coast over the past decade. There was also no concerted professional communications effort to the fishermen and coastal residents to help them understand why there is a need to lose some of their favorite fishing grounds for a while in order to replenish fish populations. What exists are tons of lawyers and lobbyists who know how to get laws passed in favor of the environmental goals, but no ability to translate any of the agenda in understanding for the average folks. It’s very, very bad. Shame on you, large NGO’s and foundations with your staggering wealth and arrogance. I’m here on the ground watching it and you should not be proud of yourselves for this. You should be still celebrating the 1980 Alaska Lands Legislation Package, which as Sarah Hanson points out was your last major accomplishment. That’s it. More than 30 years ago now. Why do you keep patting yourselves on your backs?